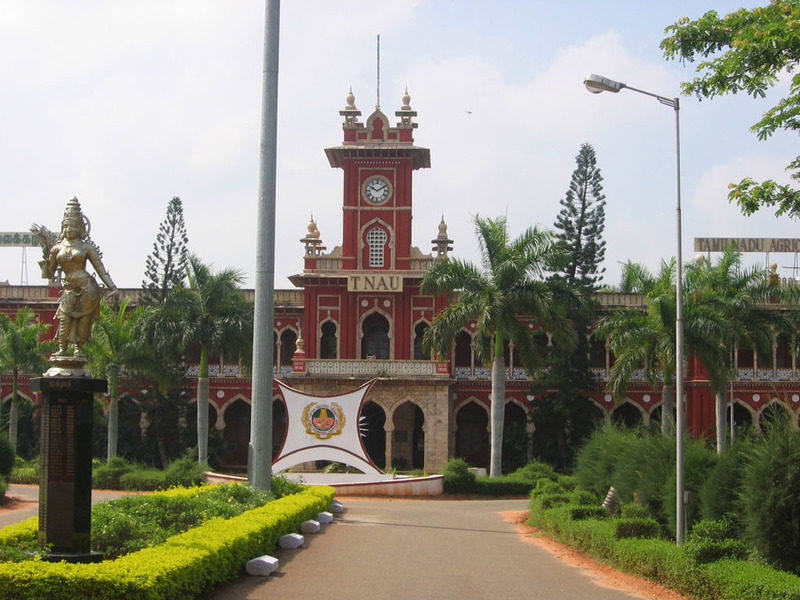 The Tamil Nadu Agricultural University (TNAU) came into being on June 1, 1971.However, it had its genesis from establishment of an Agricultural School at Saidapet, Chennai, Tamil Nadu, as early as 1868 and it was later relocated at Coimbatore. In 1920 it was affiliated to Madras University. TNAU assumed full responsibilities of Agricultural Education and Research and supported the State Agricultural Department by delivering research products. Till 1946, the Agricultural College and Research Institute, Coimbatore, was the only Institute for Agricultural Education for the whole of South India. In 1958, it was recognized as a Post-graduate Centre leading to Masters and Doctoral degrees. 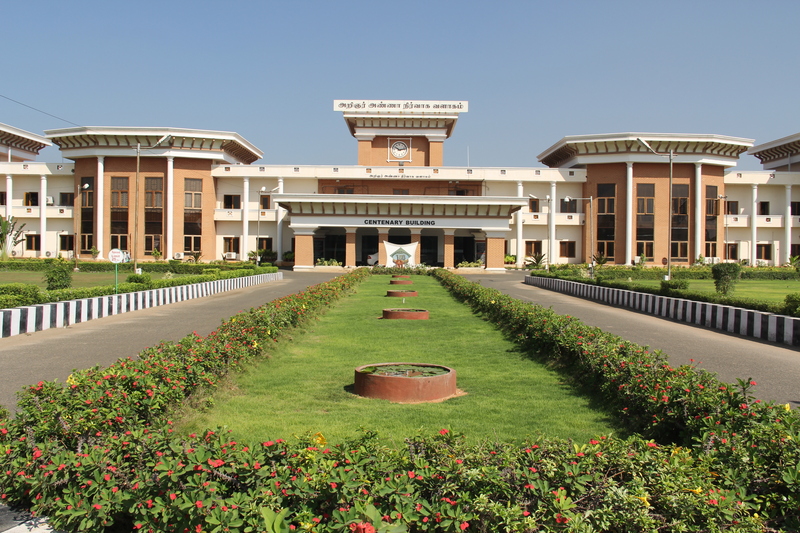 The Agricultural College & Research Institute, Madurai was established in 1965. These two colleges formed the nucleus of the Tamil Nadu Agricultural University while it was established in 1971. In 1972, separate degree programmes of B.Sc. (Horticulture) and B.E. (Agriculture) were started. In 1979, a separate Faculty of Horticulture was established. In 1980, B.Sc. (Home Science) programme was started at Madurai campus. The third Agricultural College was started at Killikulam in 1984 and the fourth at Kumulur (Trichy) in 1989 and later shifted to Navalur Kuttappattu (Trichy) in 1992 which is named as Anbil Dharmalingam Agricultural College and Research Institute. During 1985, B.Sc. (Forestry) programme was started at Coimbatore. Presently the B.Sc. (Horticulture) degree programme is being offered at Horticultural College and Research Institute, Periyakulam and B.Sc. (Forestry) degree programme at Forest College and Research Institute, Mettupalayam. In line with technological changes the B.E. (Agriculture) hither to offered is offered as B.Tech. (Agricultural Engineering) from the Academic year 2002-2003 at Agricultural Engineering College & Research Institute, Kumulur, Trichy. B.Sc. (Home Science) degree program is being offered at Home Science College & Research Institute, Agricultural College Campus, Madurai. The Pandit Jawaharlal Nehru College of Agriculture & Research Institute, Karaikal, governed by Government of Pondichery, is an affiliated institute of Tamil Nadu Agricultural University where B.Sc. (Agriculture) course is being offered. Apart from these academic institutes, the University now has research programs at more than 32 stations, spread over in Tamil Nadu with more than 1000 scientists and teachers. The global technological developments has lead to introduction of new courses. Introduction of B.Tech. (Food Process Engineering) from the academic year 1998-99, B.Tech. (Agricultural Biotechnology) and B.Tech. (Horticulture) from the academic year 2002-2003 as self supporting program has created avenues for bugetary independence. A new degree program B.Tech. (Energy and Environmental Engineering) was started during 2004 and B.Tech. (Bioinformatics) during 2006.